Choosing the right glass splashbacks for your kitchen can often be overwhelming with the different variety of designs and colours on the market. At AJ Glass Splashbacks, we carry an eclectic range of splashbacks to help enhance the visual look of your kitchen. With us, your kitchen can get the perfect glass splashback based on your budget and style preference. If you are looking for a glass splashback for your kitchen, look at these tips to help you make an informed decision. Splashbacks generally help in protecting the walls of your kitchen. They provide a barrier against water, bacteria, germs, grease and food stains. We offer a standard fitting service, as well as, bespoke splashbacks that are versatile in nature. Not only will it protect your kitchen wall, but will also increase its aesthetic value. 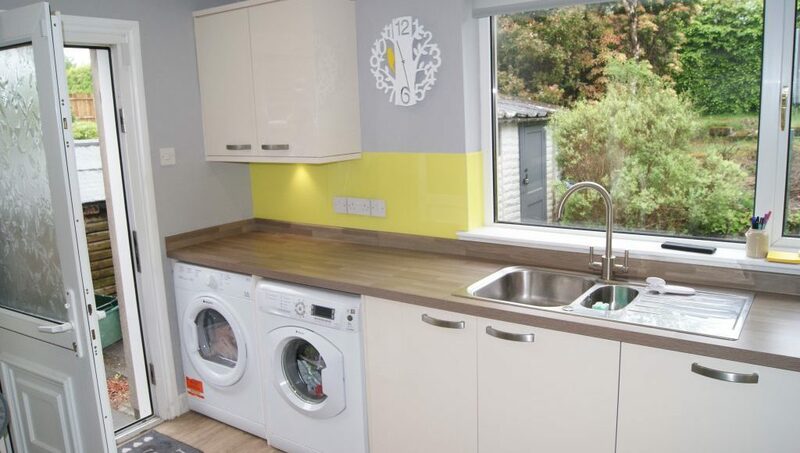 Colour plays an important role when choosing kitchen splashbacks. Our glass splashbacks come in over 1,400 colour variations, along with sparkles and cob effects. We also allow our customers to print their own image on the splashback for a unique effect. For more information on our full range of impressive splashbacks, call us. It is essential for you opt for a glass splashback that is long-lasting. Our glass splashbacks are made from strong opti white glass that can effectively withstand high temperatures ensuring minimal damage from cooking splashes. At AJ Glass Splashbacks, we offer an array of kitchen glass splashbacks that come in different colours, sizes and shapes. If you have any further questions, contact us today. Our professional staff will be more than happy to help you make the right decision. If you are looking for a delicate and high-quality glass splashbacks, get in touch with AJ Glass Splashbacks as we specialise in offering premium splashbacks in the UK. 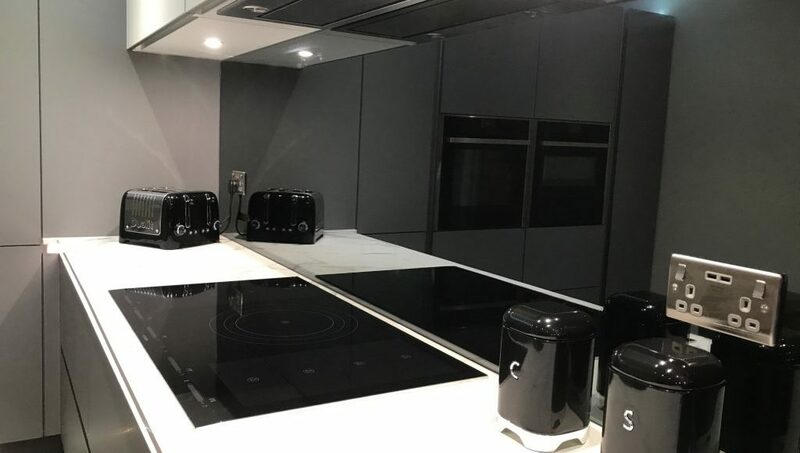 Our top-notch products can bring an exceptional improvement in the appearance of your kitchen and are offered to customers at very reasonable rates. As we come with a wide range of glass splashbacks of more than 1400 colours, buying the best amongst them can be tricky for you. Here are the things that you should consider whilst shopping for glass splashbacks so that you can pick out the finest one from our huge collection. Colour of splashbacks:Choosing the appropriate colour of splashbacks is essential to make your kitchen look delightful. Apart from different shades, our coloured glass splashbacks also come in sparkles and cob effects, which can brighten up your kitchen remarkably. You can also get other types of splashbacks, such as bespoke printed opti white splashbacks for your kitchen. Endurance:At AJ Glass Splashbacks, you can get a great deal of splashbacks made up of high quality optic white glasses. The material can resist the high temperatures and can provide a strong protection against germs, bacteria, food and other damages. So do check the durability of the products before selecting them finally for your kitchen to make the right investment. Wall measurements:You should purchase splashbacks by keeping in mind the size of walls of your kitchen so that they fit perfectly. We ensure to provide you with custom-made splashbacks that can shape up your kitchen perfectly and guard it against any sort of damage. If you are willing to know more about our vast range of collection, have a glance at our gallery or contact us right away without any hesitation.